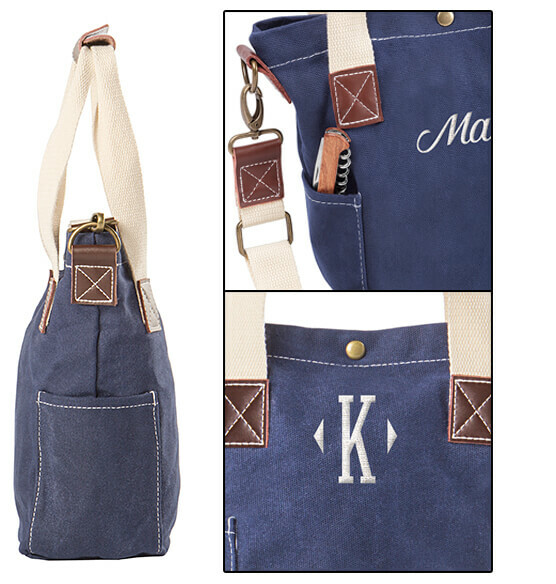 Enjoy your favorite wine on-the-go anytime with this stylish Personalized Navy Wax Canvas Wine Tote with Pocket. 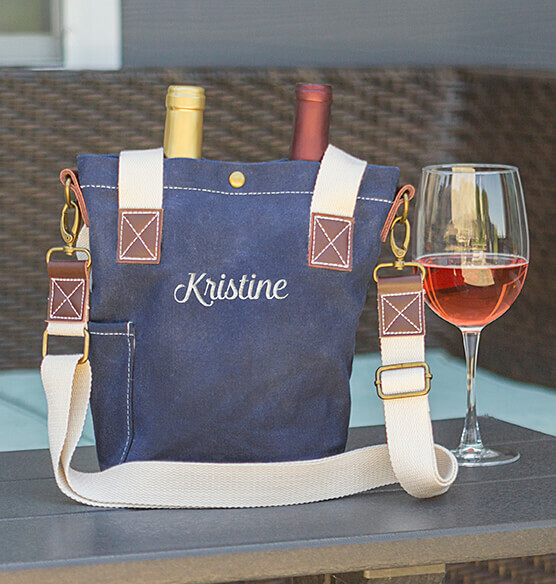 Crafted of durable canvas, one or two wine bottles fit snugly inside the divided interior sections. 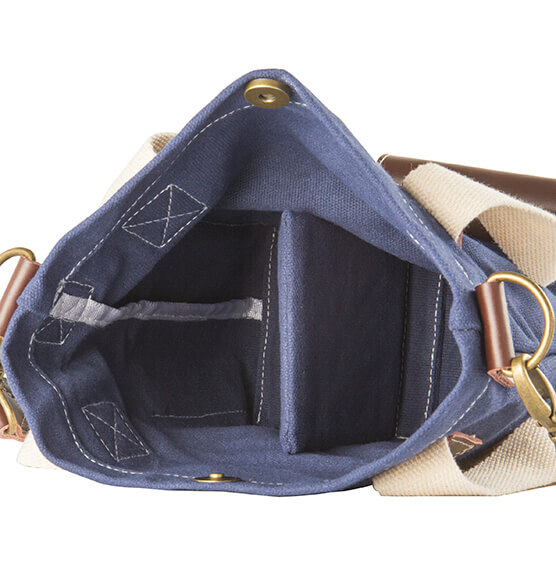 An exterior pocket is handy for stashing items such as the included corkscrew bottle opener. 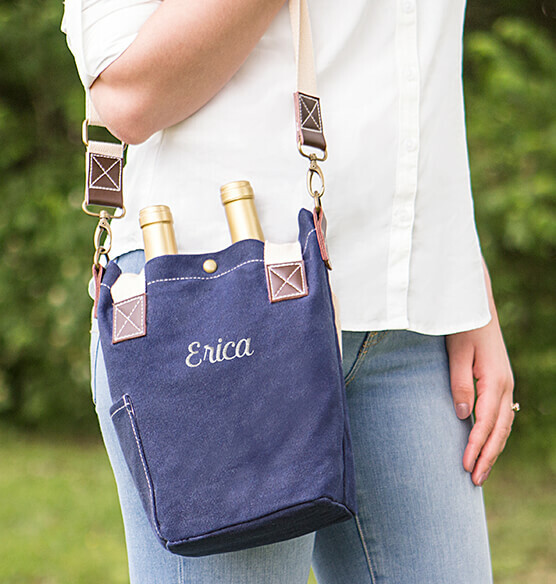 Straps are accented with fine leather and you can personalize this canvas wine tote bag with a name, up to 3 initials or other text. 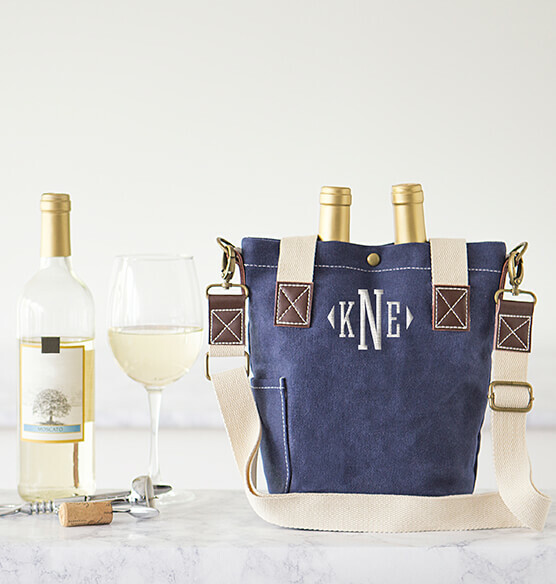 Makes a great gift for wine lovers.